You’ve heard all the stories and myths. They are all true. Prepare to have the time of your life! This Puerto Madero stalwart starts out as a restaurant and then, around one in the morning, turns into a dance club. Wednesday and Friday nights tend to be the busiest. Weekend nights feature belly dancing shows. Attire is casually fashionable but there is no need to get out the stilettos. Recently recommended by The New York Times as a “place to go,” Bahrein is a techno dance club set in a one-hundred year old bank. It is divided into three floors: an excellent restaurant, the Funky Room, and the Excess Room. Every Tuesday night they host a drum-and-bass party. Check out their website to get the details on what’s hot for the rest of the week. An electronica and trance club that is open on Tuesday and Friday from 12:30am until late, Caix is serious about partying. Dress is casual but loca—what is most important at Caix is to have some of your own style and bring it onto the dance floor. Club 69 is a Thursday night party at The Roxy Club complete with a drag show, disco and full-out party. The entertainment purports to be alternative, but don’t let that turn you off—it is “mainstream” underground and nothing too shocking. Drinks are a bit on the steep side. Don’t think of arriving before 2 am. 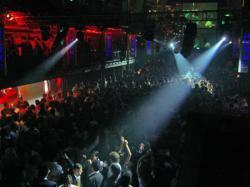 A popular nightclub in Palermo, Thursday night is home to Lost, one of the city’s best hip hop nights. The crowd is on the under 20 side of young. Friday and Saturday nights are home to high octane DJs. Like any respectable club, the dancing doesn’t start until around 2 am. This club is known for its huge venue and super live vibe. The music is Latin—specifically cumbia and cuarteto. The live acts are very good. Come to Fantástico Bailable late and stay until dawn. Once an apartment, this converted club and bar has two dance floors, one usually with older rock and one with primarily 80’s music. Music videos play on a big screen in the back and the crowd tends to be casual and over 25. Known for cheap drinks and chill atmosphere. Dubbing itself the “spirit of Brazil in Buenos Aires,” this Brazilian club and bar is popular with Brazilians and Argentines who love to party. With two dance rooms, one for Brazilian music and one for rock, hip-hop, and techno, this classy club features good cocktails and all night energy. Go on a Wednesday to try traditional Brazilian food at their special dinner show. In the city that doesn’t sleep, Museum offers something special: an “after office” party on Wednesday that actually starts at 7 pm. Don’t be fooled by the early hour, porteños know how to party at any hour. Museum boasts drink specials, lots of dancing, live bands, and an enormous venue in the historic San Telmo barrio. Remodeled in 2005, this club has a red-lights, retro aesthetic and changes between café, concert hall, and dance hall depending on the night. With a space big enough for 700, this club gets international music acts. Tickets for shows should be bought online at http://www.latrastienda.com/. Short pants, caps, and sandals not allowed at this ultra trendy club in the heart of the city. The place to go to hear the newest, hippest music, on Thursday, Friday, and Saturday there is almost certain to be a live band, so check the website to choose what night to go. This page rendered in 0.447 seconds.